Fresh iD is a proudly South African hygiene and cleaning products company based in Pinetown, KwaZulu-Natal We provide quality cleaning chemicals for use in the hospitality and food processing sectors. Our cleaning solutions are manufactured following strict ISO 9001 standards to ensure that the best possible quality products are supplied. We also supply state of the art dosing systems to regulate chemical use and guarantee profitability by reducing chemical expense on site. The functionality of our dispensing systems and the efficacy of our consumables have been tailor made to specifically reduce customer expenditure, while enhancing customer satisfaction through a superior quality experience – all the while being ever mindful of our environmental impact. 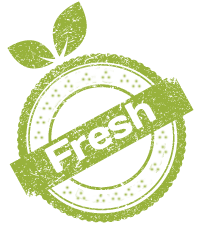 We Do Fresh Hygiene Products! Whether you’re looking to deep clean your kitchen counters, render spotless your bathroom facilities, or simply needing the odd automated spray of fragrance control to keep things smelling fresh – our dream team of green cleaning has you covered! Our iD Housekeeping Range includes a general purpose cleaner, a concentrated window cleaner, and a toilet bowl/urinal cleaner – allowing for industry-grade sanitation at home. The iD Kitchen Range includes, among others, manual dishwashing liquid, heavy duty degreasers, and germicidal sprays – leaving you with a kitchen even Gordon Ramsey would be proud of. Our iD Laundry Range provides industrial-grade destainers, fabric softeners, emulsifiers, and bleaches – taking no prisoners in the fight against soiled fabrics. Our consumable products have been specifically designed for our smart technology range of dispensing systems to the highest formulation specifications and efficacy outputs, using as many natural and environmentally sustainable ingredients as possible. Our paper products carry the Eco-label endorsement, which ensures quality as well as continued sustainability of our environment. Through this responsible approach we endeavour to reduce our carbon footprint and ensure that our product range remains green. As a value-added service to our clients, when volume allows, we will supply dispensing systems for our hygiene products at no cost – eliminating the need for monthly rentals. This is just another way we enable you to ensure a high standard of general hygiene – at a much lower cost than most other service providers in the industry. Contact us to find out more!